What child doesn’t dream of sitting behind the wheel of a fire truck? At Touch-a-Truck those dreams can become a reality! 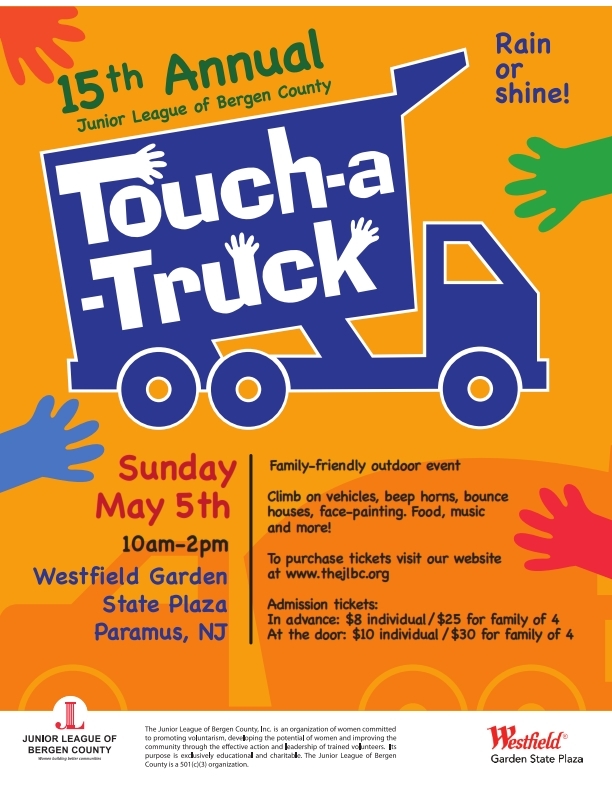 Touch-a-Truck is a family-friendly outdoor event that takes place rain or shine and attracts more than 1500 attendees. Kids of any age enjoy climbing on all types of vehicles, beeping horns and participating in a variety of entertainment opportunities (i.e. bounce houses, face-painting, fun bus, etc. ), while their parents have the opportunity to learn about new products, services and establishments that are available to them in Bergen County. Touch-a-Truck will be rolling into town before you know it! We hope to see you there!